Pull Grain Leather-Granular appearance with soft skin, treated with natural oils and fats. Anatomic Insoles- These anatomically designed insoles, fit perfectly to the contours of your feet. Thus, walking weight is distributed optimally in the foot, absorbing shock. Removable Insoles- Insoles in the shape of the foot that can be taken out. 360 degree Stitched All Around- The 360 degree stitch is an exclusive finish that makes the shoe almost indestructible. This process consists of sewing around the shoe to provide a perfect union between the leather upper, the insole and the sole. In some models this stitch technique is used from the bottom of the sole reducing the use of glues and providing a greater stability and comfort. Recycled Rubber Outsoles- With all the properties of rubber, recycled rubber is obtained from either leftover or re utilized material. Comfort Fitting- This type of shoe stretcher has a slanted design that fits with the natural shape of the foot. It has been made studying the anatomical shape of the foot so that the shoes are replicas of the natural design of our bodies. 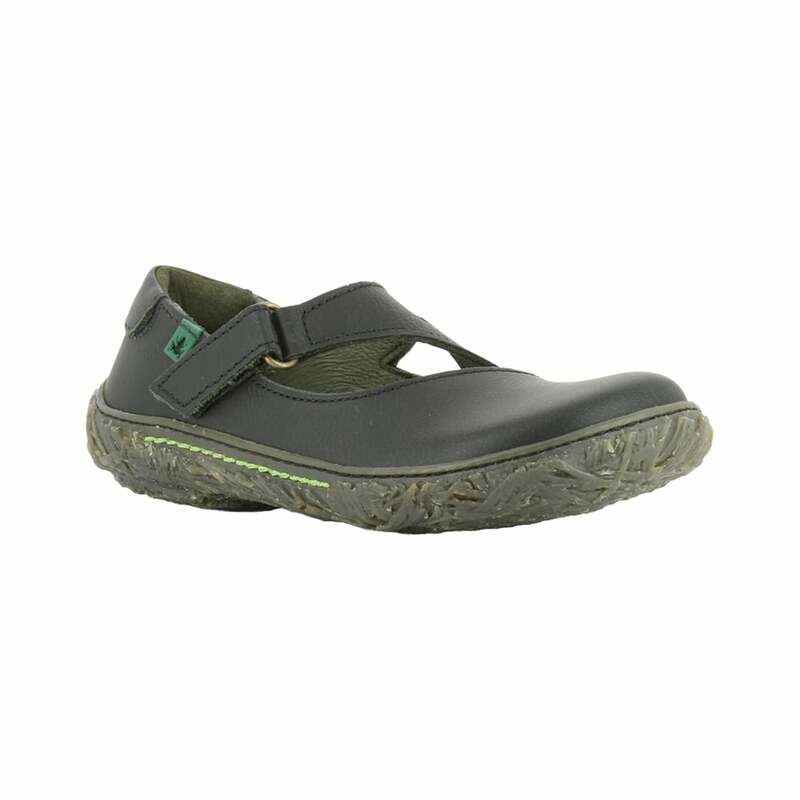 The styles that have this ergonomic shape do not compress the foot when either walking or at rest, providing great comfort and health with every step. The perfect natural leather flat shoe...school shoe, work shoe or a general shoe for when the months turn colder! El Naturalista benefits in sizes reaching EU 39 and so youth and adults get the chance to pick up these lovely boots as well as the lucky little ones! !